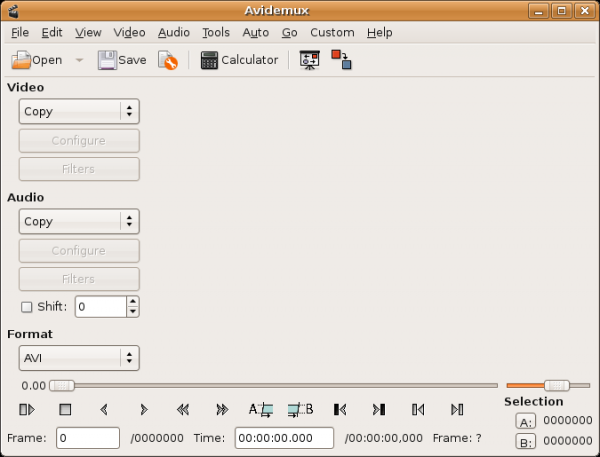 Avidemux is a free video editor and converter. It is not really designed for beginners but isn't too hard to get your head around with a little effort. Avidemux is available for Linux, BSD, Microsoft Windows and Mac OS X (under x11) and is designed for simple cutting, filtering and encoding tasks. It supports many file types, including AVI, DVD compatible MPEG files and MP4. It has one of the only Graphic User Interfaces (GUI) for encoding files that works on different platforms. It's quite advanced in what it can do but is not the most user friendly of applications. However there are some presets available and it is possible to save custom settings that may make it easier for beginner users to operate.